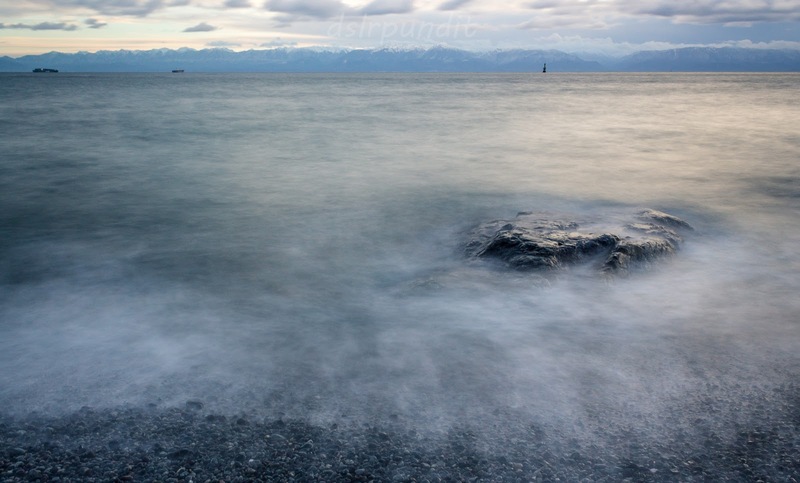 How to use a wired shutter remote for long exposure shots on a DSLR? It can either be wired or wireless, wireless one uses IR sensor technology. This requires a good line of sight communication between the camera and the remote. Coming to wired ones, again there are two types depending on the pin connection. RS-80N3: Canon 7D, 6D, 5D, 5D mark II, mark III, mark IV, 20D, 30D, 40D, 50D, 1D series. RS-60E3: Canon Rebel T5, T6, T4, T3, T2, T1, T5i, T4i, T3i, T2i, 60D, 70D. 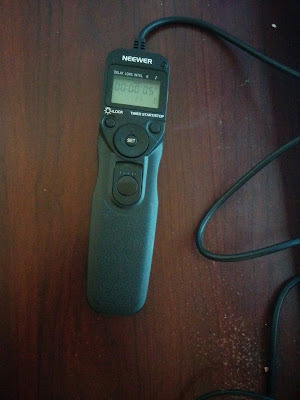 The official canon remotes don't have a display and other functionalities unless it is TC-80N3. TC-80N3 has a decent display and functionalities such as time interval of each exposure, delay and number of shots. To get this same functionality, one can buy cheap ones easily available on Amazon and eBay. The image below shows the close-up of a cheap DSLR remote from Amazon. 1) Connect the DSLR to pin located on side of your DSLR body. Some of the dslr cameras have a sign indicating the port for shutter release timer. 2) For long exposure shot, switch the camera to bulb mode. If this step is not done, camera shutter speed would be used for every shot after every interval. 3) Description of settings on your remote shutter release. 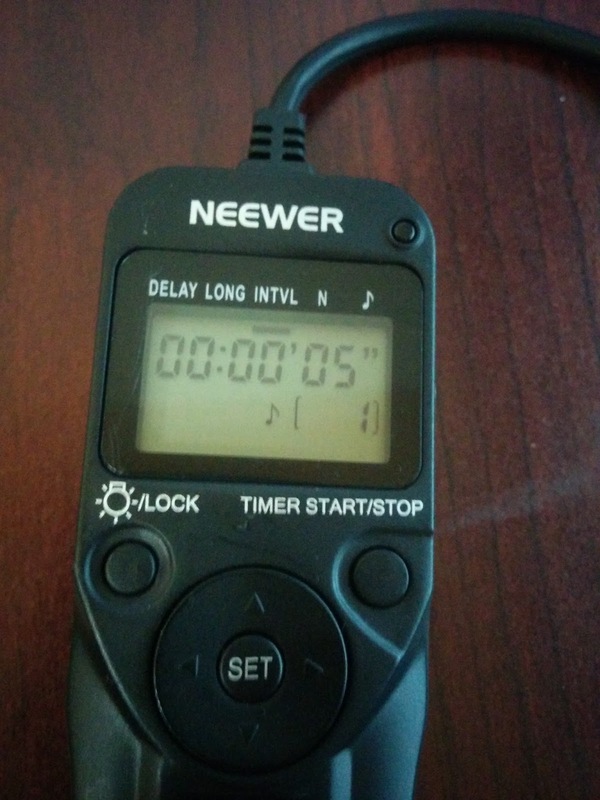 Delay: Initial delay once you start the timer. Long: Duration of each shot or exposure. Shutter speed in other words. Interval: Time gap between each shot. Let's say the value is set to 10 and shutter speed (long) is at 2. The interval value is subtracted, and it would be an 8-second gap between every shot. 4) Toggle between settings using left/right key and then press set key. Use up/down key to change the value. Again press set to finalize the value. The digits would flash indicating they can be changed. 5) Click on start to activate the timer, and it will go on until 'N' pics are taken or your battery dies. The user can deactivate any time in between by pressing the same start button. Hope this would help you take some really good shots. One advantage of using a shutter release timer (either wired or wireless) is the amount of reduction in camera shake and ability to move around a little bit.